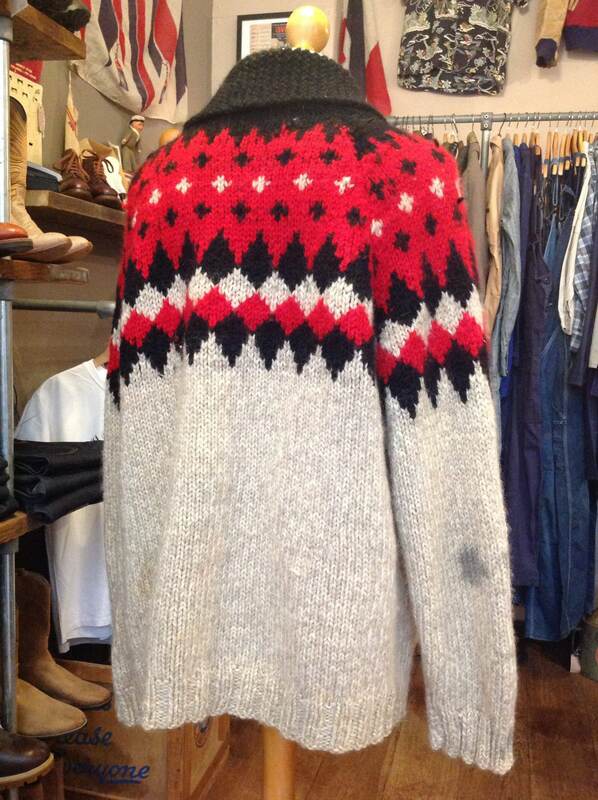 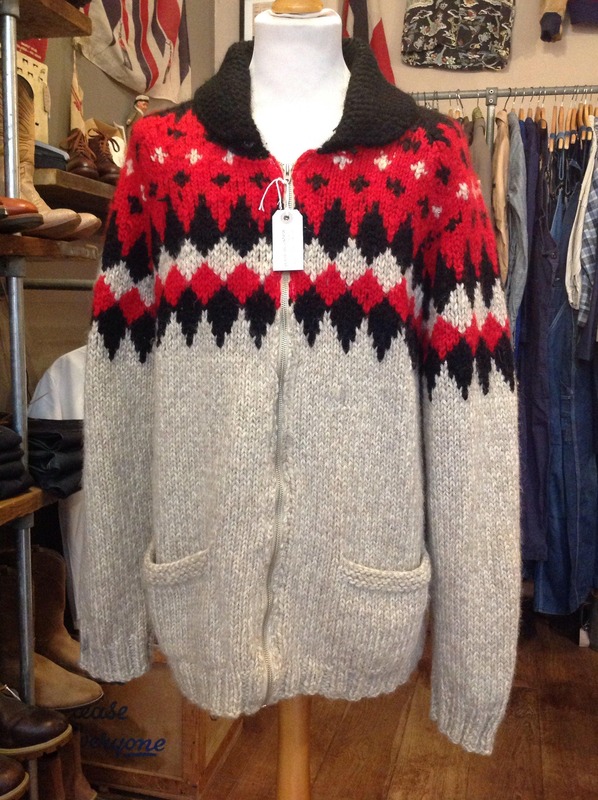 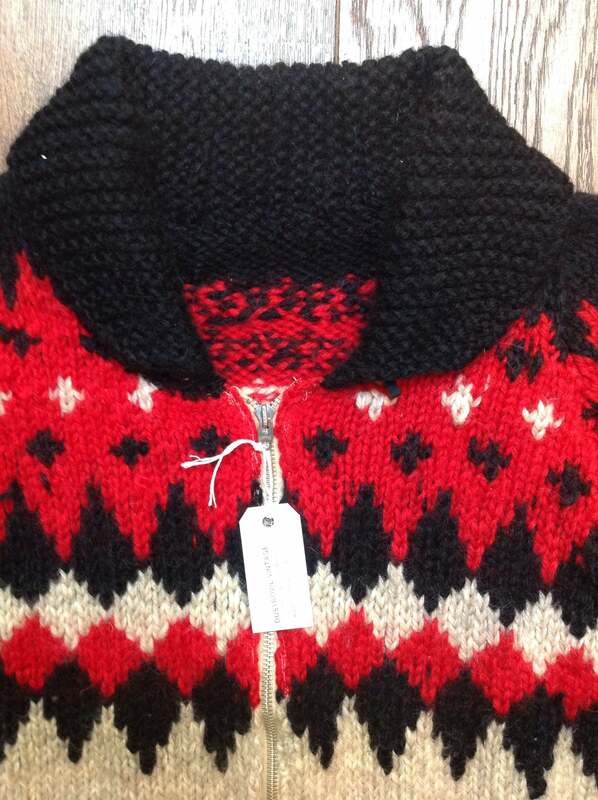 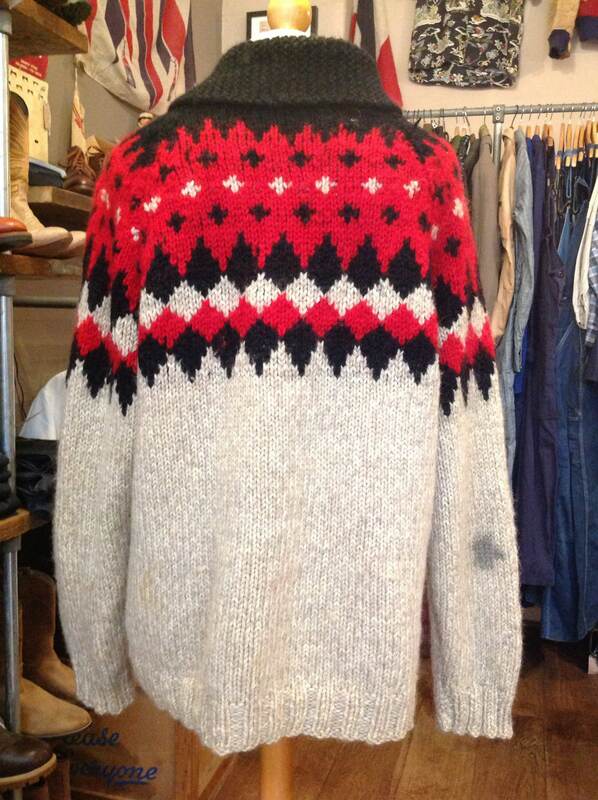 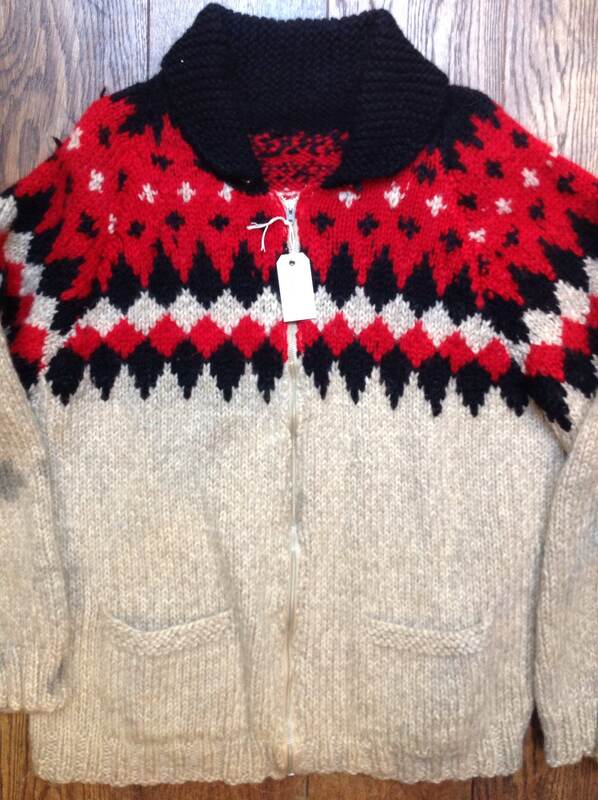 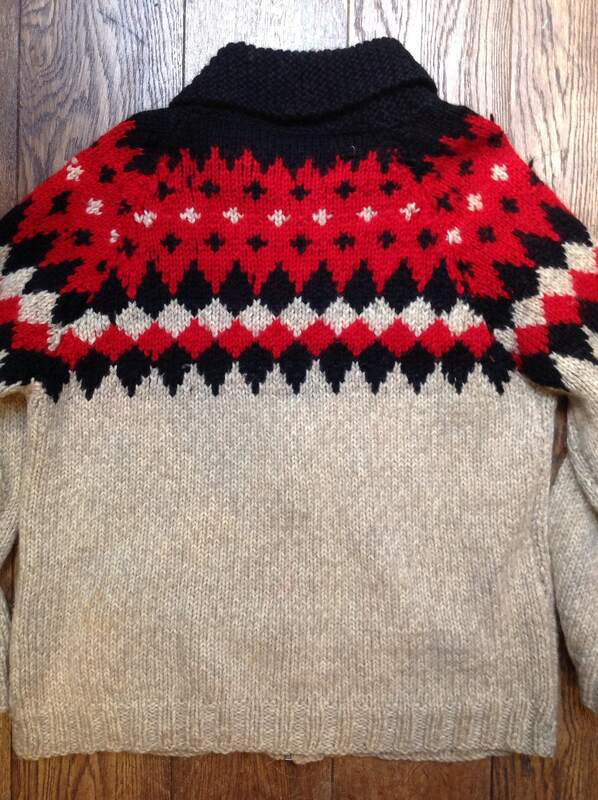 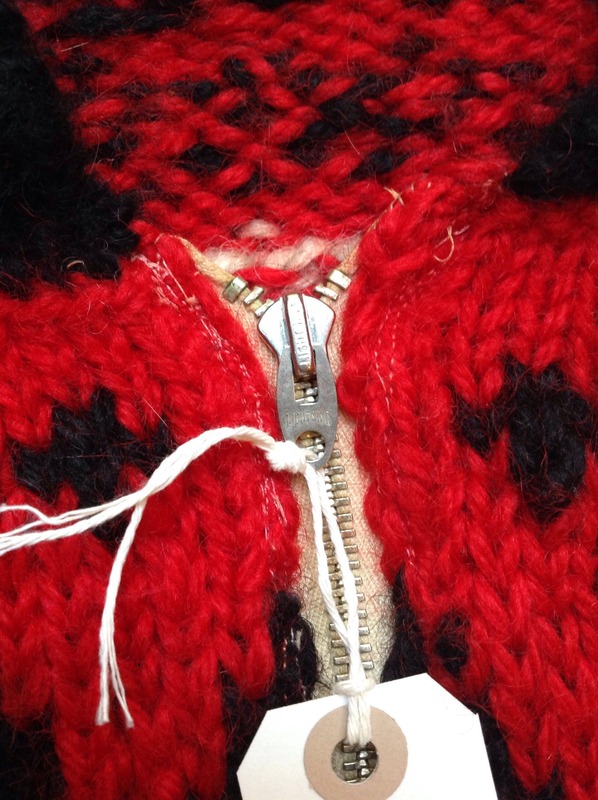 A grey, black and red handknitted wool cowichan sweater with Icelandic style diamond design. 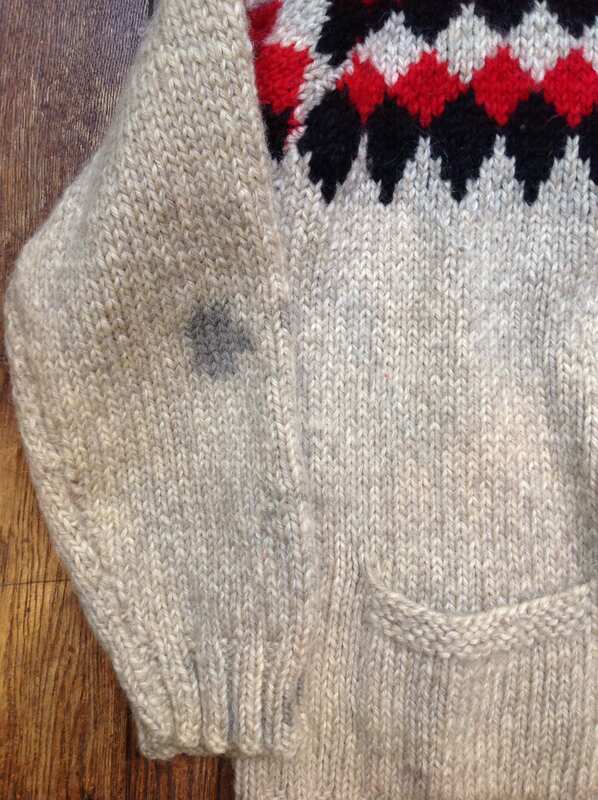 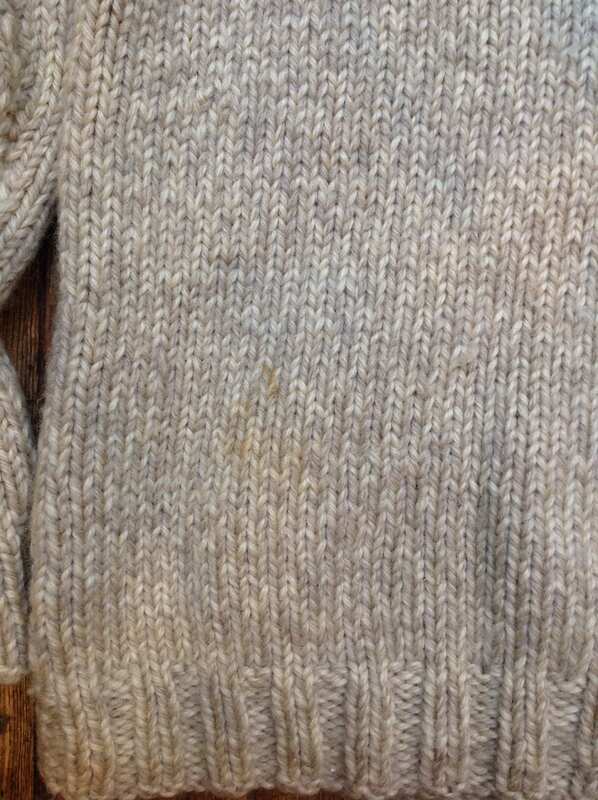 Noted flaws - mark on the back of the left elbow and on the back left - please see photos. 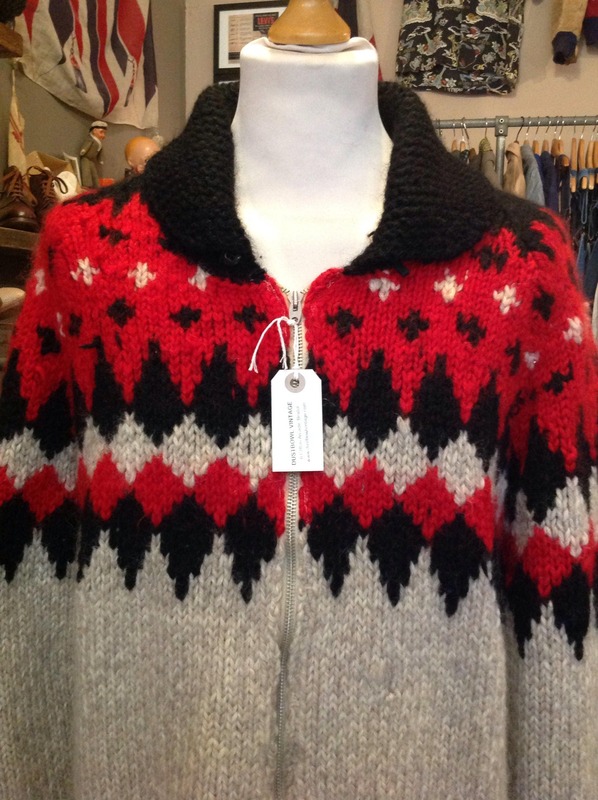 Freshly laundered, soft thick wool, original Lightning zipper runs smoothly, two hand pockets, great design, a classic cowichan sweater.